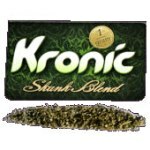 New research by Environmental Science and Research (ESR) shows that Synthetic cannabis products contain an alarming cocktail of chemicals whose side-effects are largely unknown. ESR tested 43 of the ‘legal’ herbal highs available in New Zealand and found that all of them contain at least one synthetic cannabinoid – and in many cases more. Ten of the products – or nearly a quarter – contained four or more. ESR scientist Paul Fitzmaurice said “Some of the products available in New Zealand contained quite an elaborate mixture. Two of the products tested – Kronic Pineapple Express and Juicy Puff Super Strength – were recalled by the Health Ministry last week after ESR testing showed they contained prescription medicine phenazepam. Another ESR scientist, Keith Bedford, said he supported the Law Commission’s recommendations in its review of drug laws that ‘herbal highs’ be regulated by government. “Self-regulation by producers and suppliers was not adequate to ensure safety,” he said. Leo Schep, a toxicologist at the National Poisons Centre, said that since last October, the centre had received 48 calls about serious side effects from smoking synthetic cannabinoids. They included four patients who had seizures and three who lost consciousness. It is important for all employees to remember that just because a ‘herbal high’ type product is legal for use in society, being under the influence of it in the workplace is not. Nearly every workplace that has health and safety and employment relations policies are going to be specific that being under the influence of drugs and alcohol in the workplace may result in disciplinary action. Anything that has the capacity to impair judgment is a no-go in the workplace. Most employees caught under the influence are dismissed. With testing for synthetic cannabinoids now available through New Zealand testing providers (they send the samples offshore) more and more employees are going to lose their jobs though being under the influence of a legal drug. Don’t let it be you.